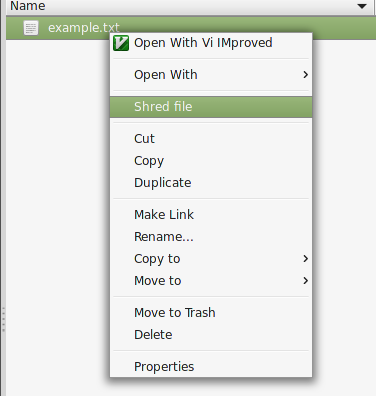 The Linux command line tool shred is a fantastic way to securely remove files. It can be used from the command line e.g. The default is to overwrite the file 3 times but you can override this with –iterations=N, setting N to be the number of iterations. Define the settings you require e.g. Note – Based on feedback I added 'Quote=double' which will delete files with spaces.